Jon R. Krainz, 52, of North Spring Street, Port Washington died unexpectedly while on vacation on Sunday, November 17, 2013 at Scottsdale Healthcare-Shea Medical Center in Scottsdale, AZ. He was born on October 19, 1961, son of Will and Pat Werner Krainz in Port Washington. He grew up on Roger Street in Port, active with family and friends. He graduated from Port Washington High School, class of 1980. He attended the University of Wisconsin – Milwaukee, graduating with a degree in Electrical Engineering. For over 25 years, Jon has been employed with Modern Equipment Company of Port Washington, currently as their Chief Electrical Engineer / Installation. Jon has always been a very social guy. He loved to golf and fish. With his close friends of many years, they shared many trips throughout the United States and Canada together creating great memories. 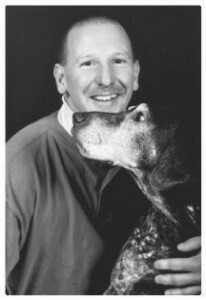 He was very sports minded and loved his canine pals, especially Jesse and Jed. He will be remembered for his kind and giving heart, helpful and caring attitude. “The only guy that doesn’t have any enemies” was how one friend remembered him. He will be sadly missed. He is survived by his parents, Pat and Will Krainz of Port Washington, his sisters Peggy (John) Lyons of Elgin, IL, Linda Krainz (Dave Kline) of Grafton and Karen Krainz of Port Washington, his brother Gary (Karen) Krainz of Newburg, his nieces Shannon Lyons, Nicole and Desirae Moza and his nephew Jonathan Lyons, other relatives and many friends. Funeral Services 6:30PM Monday, November 25, 2013 at St. Peter of Alcantara Catholic Church, 1802 N. Wisconsin Street, Port Washington. Reverend Thomas Lijewski will be the celebrant. Interment St. Mary’s Cemetery, Port Washington. Family will receive friends 3-6:15PM Monday AT CHURCH. Memorials are appreciated.